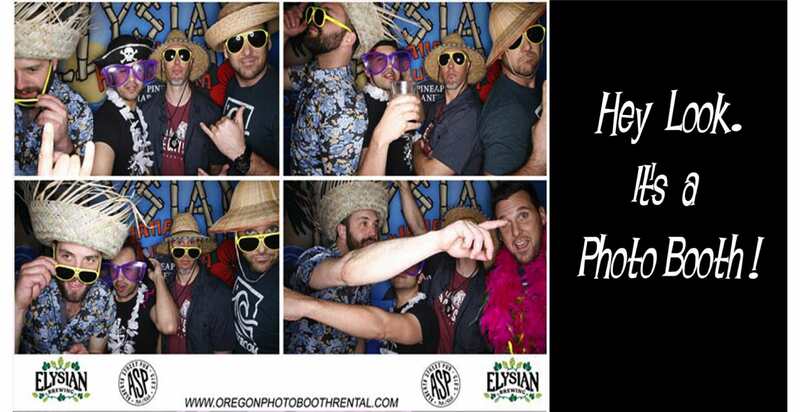 Why Rent With The Oregon Photo Booth Rental Company ? 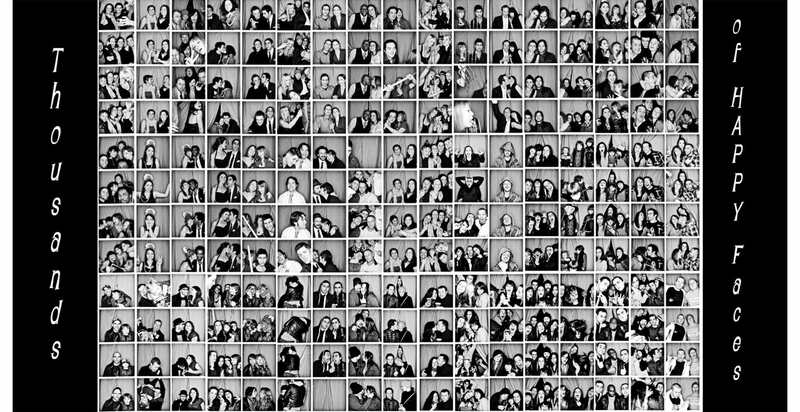 Be a good host and entertain your guests: If you've already been to a party with a photo booth, you know it'll be the hit of the party. A guaranteed good time! Your guests get INSTANT UNLIMITED copies. No Waiting! After your event you get copies of all pictures taken. We post a web gallery for all to see. Proven Reliability: When booking a photo booth rental for your wedding, or event, choosing a dependable company is a must. 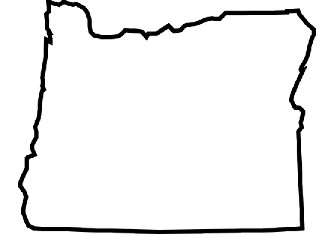 The Oregon Photo Booth Rental CO. is a professionally run business that's locally owned and operated and has an outstanding reputation for a quality product and high levels of customer satisfaction. 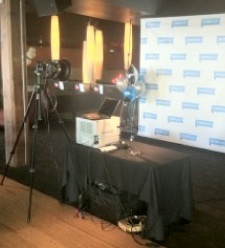 Portability: We have portable photo booth concepts that can travel just about anywhere your party is at. 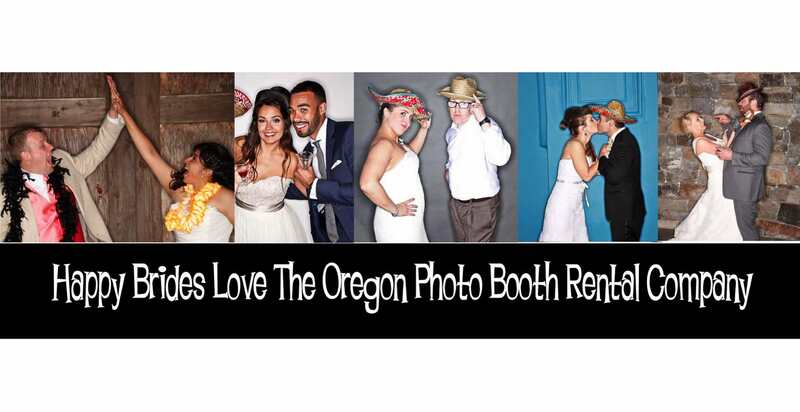 Guaranteed Results: When you choose The Oregon Photo Booth Rental CO. you can rest assured that we'll be there on time and that your photo booth will contain top of the line photographic equipment and printers. 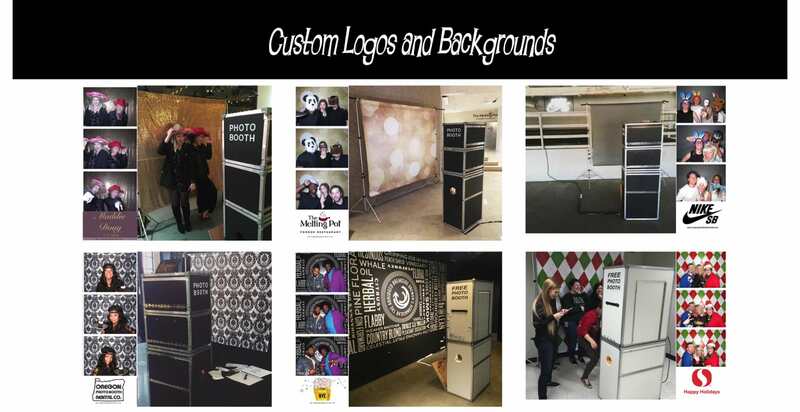 You'll also have the security of knowing that you will have a photo booth host and an on-call technician to make sure your event goes as planned. Choose the Best! : Don't leave the success of your wedding or event to chance. 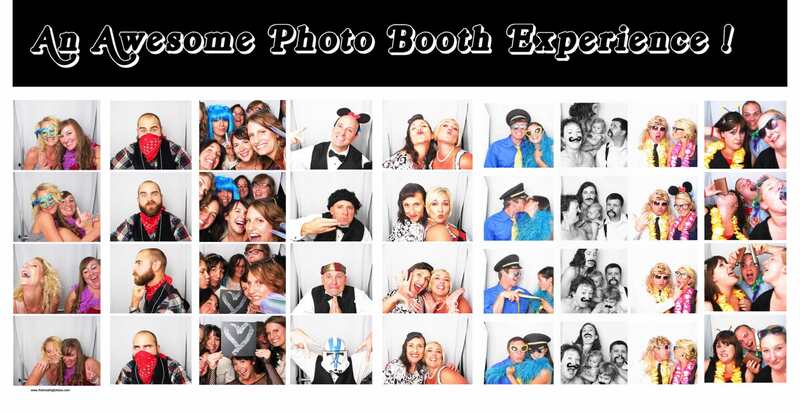 Make the smart choice and hire the best, The Oregon Photo Booth Rental CO.. You and your guests will be glad you did. 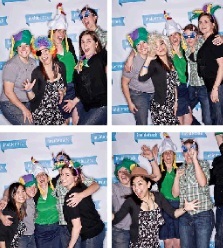 Call us at 503-389-5848 to find out how a Photo Booth can bring the fun to your event! 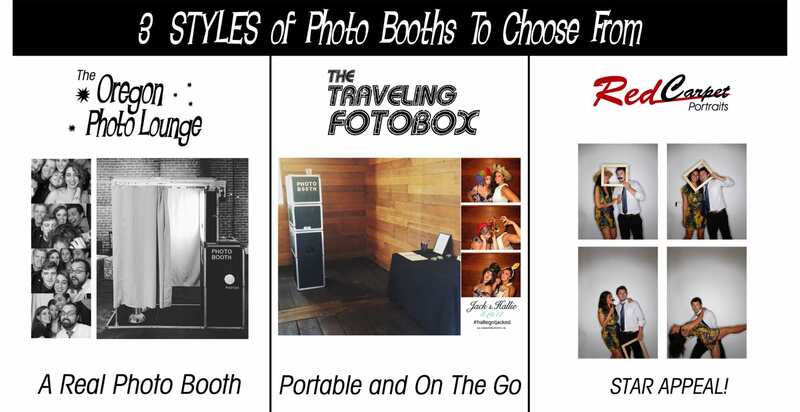 The Traveling Foto Box is our most portable go anywhere photo booth rental . 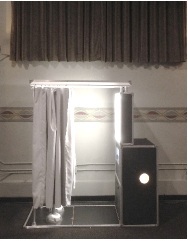 The Traveling Foto Box is our hybrid photo booth. Red Capret Portraits is our alternative open air photo booth mobile photo studio. A more interactive experience with an actual photographer. Great for large groups! With an actual photographer you get the paparazzi vibe. Gret for large groups! 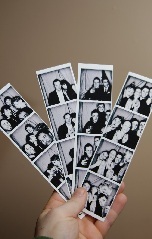 Portable Photo Booth Fun ! A real photo booth with a retro appeal. Black and white or color 2x6 photo strips. 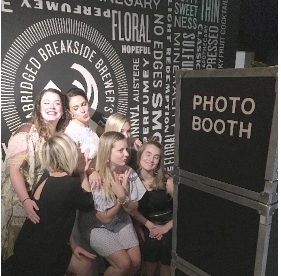 The Photo Lounge is a private sit in lounge photo booth experience giving it an authentic vintage feel.